We are hosting different events throughout the year to present the Spryker Commerce OS live to companies who are ready to change to a high performing and scalable architecture. Of course, you will find us at relevant industry events such as dmexco or K5 in Germany! OMR Festival 2019 meshes international stars of the digital marketing scene, up-and-coming players and hidden champions of the industry. Learn about the solid mix of absolute experts with profound insights and engaging personalities, who you wouldn’t typically associate with marketing at first glance. Spryker represents the e-commerce focus. Meet European thought leaders in an exclusive invitation only event. Learn from the best on a day packed with masterclasses with leading players from Europe. Participation is free of charge, but make sure to grab your seat before everyone else by registering below. Personal confirmation to any of the hosts also holds your spot. The Akeneo PIM Summit is the annual not-to-miss gathering of Akeneo customers and partners where you can learn from each other and hear about Akeneo’s vision for PIM and its role in Product Experience Management (PXM). 2019 will see the 13th edition of the premier e-commerce event in the Benelux, the Webwinkel Vakdagen. If you're looking for ways of getting greater returns from your online activities, then the Webwinkel Vakdagen is the place to be. We look forward to meeting you at our Spryker booth! Twice a year, during Berlin Fashion Week, the business platform connects fashion and lifestyle with the tech, creative and start-up industries, covering all aspects of digital transformation, innovation and disruptive technologies. Spryker of course, would not miss that! What will the digital future of the home & living industry look like? The whole industry of furniture manufacturers & retailers are asking themselves this question.mediawave and Spryker will discuss this questions and relted topics with experts from different branches and give hands-on tips. Don't miss out the opportunity to attend this exclusive side event along the biggest home & interior fair in Europe. "Platform-Podium: Behind the scenes of digital B2B"
It is not only Uber & Co. who are able to revolutionize their markets and gain a prime positioning - but also your company can do that in its branch by making use of the same metrics. 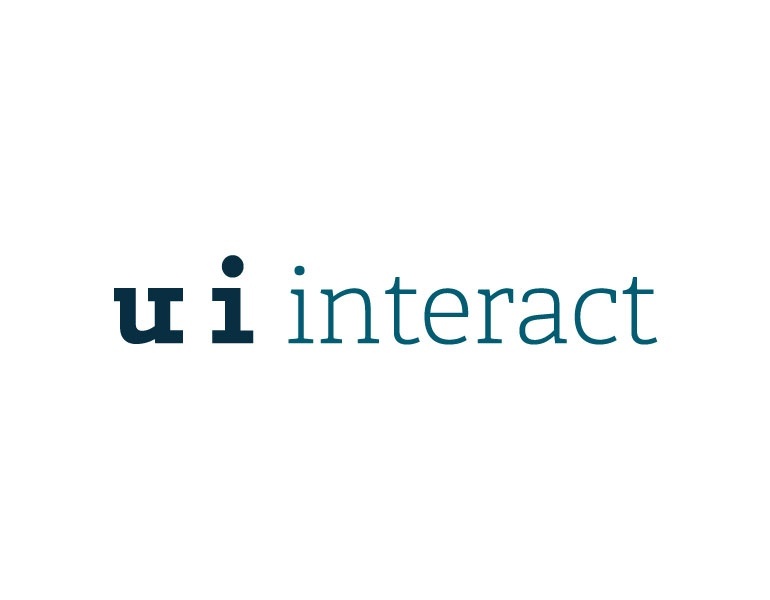 Spryker and u+i interact show you how to do that and bring best practice, relevant solutions and more. Sign up and be part of it! With the next Spryker Roadshow in cooperation with Inviqa & Akeneo we are going to take the B2B sector under our wing. Get to know Spryker better with different and exciting scenarios in our Demo Area! It is the innovation and startup festival in Baden-Württemberg. Startups, founders, startup-interested people, students and creative minds meet renowned corporates, medium-sized companies and global players, representatives of the regional and national press, investors and business angels. Industry know-how and exciting demos await you at the Srpyker booth C-2o22! true to the motto RetailMe!, this year's German Retail Congress will take place over two days in Berlin, expressing the customer's desire for a retail world tailored to his individual needs. A complex challenge for every retailer. Visit us at the Spryker booth B21 and get first-hand expert knowledge! Explore new ways of thinking and find the trusted insights and guidance you need to lead your organization with confidence. Meet Spryker at our booth! Marketing Power Conference 2018 - Spryker als Premium Partner! The two-day Marketing Power Conference offers an ideal platform to find out about the latest trends in marketing and IT. Visitors to MPC 2018 can look forward to a colourful programme of exciting use cases with practical insights into the digitisation projects of renowned top companies, keynotes, specialist lectures, round tables and workshop sessions. The eCommerce Show North is the biggest and most relevant event for E-Commerce companies, vendors, and suppliers outside of London. For sure Spryker has to be there too! Listen to Spryker's presentation on 6th November at the Insides Theather at 11:20am "Uber yourself before you get Kodak'ed" and meet us at stand 139! 4. Spryker Usergroup: "Business meets tech"
The 4th Spryker Usergroup "Business meets Tech" takes place in Munich! Together with our Spryker Partner mediawave you'll have the chance to meet our experts from both sides and dive into the world of the next generation of e-commerce. See you there! Profit from expert knowledge at the superReal Tech Talk breakfast format and enjoy super juicy content about performance and scalability as fundamental key success factors in digital commerce. The Digital Commerce Day B2B Special has created a platform to exchange and network between B2B e-commerce practitioners. Our experts will also be there to inform you about digitization with Spryker! Furthermore, in cooperation with Inxmail, we will sponsor the exclusive pre-dinner the evening before and grant a 30% discount on the VIP ticket required. The VIP-Pass will give you the exclusive chance to exchange ideas with curators, speakers, moderators and class masters on the evening before the Digital Commerce Day. This valuable network meeting will take place during a luxurious 4-course menu at the CHECK INN Foodport. The necessity of a sustainable e-business strategy has become important in the business-to-business context. The main focus here is on integrating e-commerce sensibly into existing sales structures and anchoring digital transformation in the company. The strategy summit in Berlin will show how this can be achieved. Performance is key! Meet our experts from claranet, Turbine Kreuzberg, Google Cloud, Crips Research and Spryker and get the newest trends in digitalization and inform about best practices in implementing, combining and extending innovative technologies to your business. The IGD Digital Commerce Summit is a specific platform for retailers in the food & grocery industry in the UK. Among thought leaders from international food retail brands, Spryker and its Co-CEO Boris Lokschin give visitors an introduction to the future of e-commerce. Furthermore, at the Spryker stand no.9, the visitors will have the chance to get hands-on experience of the newest Spryker demo shops for B2B and B2C as well as IoT and voice scenarios. 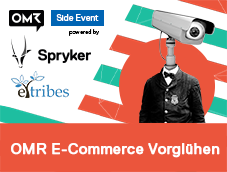 As always, the E://Commerce Night is THE event of the North Bavarian e-commerce scene! After the Internet World in Munich, it is the second largest event of the e-commerce industry in Bavaria. Meet us at the EMERCE eDay! On the 11th October eDay attendees are treated to the freshest content from global thought leaders on new business, strategies, case studies, concepts and technologies in the E-Commerce branch in Amsterdam. Check out our new Demo Versions at Playground No. 2! For great retailers to become even greater! 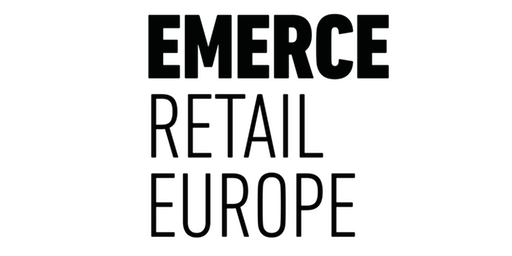 Come to EMERCE Retail EU and get insights from competitors and experts about extending, combining and optimizing digital touchpoints. On September, 27th 2018 the OMK - ONLINE MARKETING KONFERENZ LÜNEBURG will take place for the seventh time in Lüneburg. Organized by the online agency web-netz in cooperation with the Leuphana University of Lüneburg At the conference, top people from science and industry will report on current trends in online marketing. One of the biggest and most important UK events in e-commerce with over 12.000 attendees and Spryker is part of it! Experience the newest technology and innovation in e-commerce and gain insights about future developments. As sponsor and exhibitor, we are looking forward to welcome you with concrete digitization approaches and best practices based on the Spryker Commerce OS. Come visit us at stand ST10! 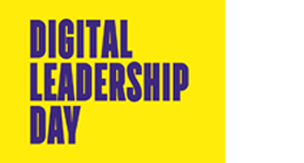 At the Digital Leadership Day the Spryker Partner TOWA brings together leading digital business: exiting inputs and use cases by established and publicly traded businesses as well as by locally bounded world market leaders are awaiting you. The focus lays on the exchange about chances, risks, and factors of success in digitization. At the Digital Forum Frankfurt Spryker and Spryker Partner sitewards are providing hand-ons consulting for SME's facing digitization. Experts like Spryker Lead Solutions Specialist Michael Türk are going to share their Best Practices in B2B & B2C Commerce. Find out how future commerce technology fits with your current technology and how you can design new customer interfaces. Experience how you can get ahead and transfer your business into e-commerce. Get all answers to all questions in one place! The solutions.hamburg is the biggest digital congress in Germany. It offers strategy, solutions and networking opportunities for companies going through digital change. Within three days though leaders share their insights and know-how from business to tech and strategy. Over 5.000 visitors are expected. Spyker Solutions Specialist Michael Türk is going to be on stage on 14th of September from 3:30 pm - 5:00 pm speaking about the digital transformation in B2B commerce. Come to visit us at our stand in room k31 for further talks and info! Meet the Spryker team and partners at our Spryker Plaza. For the tenth time, Germany's largest digital fair will host all the big players. This year's theme is dedicated to "Take C.A.R.E." (Curiosity-Action-Responsibility-Experience). For the first time, the Austrian Spryker Partner TOWA is going to host three dates of its new event format „B2B Commerce Days“. A new kind of expert talk platform, targeting especially retailers and manufacturers from the B2B digital business branches. We are going to host our next Biz meets Tech roadshow in Berlin! Listen in to Spryker CEO Alexander Graf, Project A Ventures CEO Florian Heineman, and B2B Expert Lennart Paul talking about current business topics in e-commerce. Round two for our Spryker User Group! Are you keen to gain new input for your business? Get inspired by different user groups who will share their experience of working with Spryker. This event is powered by Spryker, Etribes & Netshops. With the event series DEPT talk our new Dutch agency partner DEPT provides an established platform for high-level insights about the digital world. This time our Spryker CEO Alexander Graf participates with the topic "Tech for Amazon-like speed". Du möchtest alle E-Commerce Trends für 2018 auf einem Blick erhalten? Erfahre die neuesten Business Opportunities, Future Retail-Strategien, aktuelle Mover und Shaker der Szene an einem Ort! Eines der größten Branchenevents in Österreich. Vor Ort hält Spryker CEO Alexander Graf die Keynote "Innovate Or Die". Anschließend freuen wir uns auf Ihren Besuch an unserem Stand mit unserem Partner TOWA. Auf eine der wichtigsten Veranstaltungen für die Integration von stationärem und digitalem Geschäft berichten und diskutieren Händler und Marken mit einer DNA aus Online- und Offline-Welt über Strategien, Herausforderungen und Trends. Besuchen Sie uns zudem am Stand! Unter diesem Motto bietet Spryker in Kooperation mit FOND OF in Form einer Abendveranstaltung spannende Impulse für Dein Business und präsentieren Dir wichtige Insights und Trends für die Zukunft des E-Commerce. Was sind die aktuellen Entwicklungen und Wachstumsperspektiven im Handel? Darüber diskutieren Online-Händler, Startups, Multi- / Cross-Channel-Pioniere, stationäre Händler, B2B Anbieter, Hersteller und Verlage auf der Konferenz. Anschließend werden die besten Onlineshops und mobilen Shopping Anwendungen ausgezeichnet! Spryker startet in den Niederlanden. Gemeinsam mit dem Agenturpartner DEPT Agency aus Amsterdam und Fond of Bags, dem aufstrebenden Label für ergonomische Rucksäcke aus Köln, gibt Spryker einen aktuellen Einblick zum kundenzentrischen Markt und dem Spryker Commerce OS auf Hollands wichtigster E-Commerce Messe, Emerce Live! Die Besucher erleben unsere Experten im Interview von 10:40 bis 11:40 Uhr auf Stage 7. Weitere Insights werden im Rahmen der Roundtable-Sessions von 10:00 bis 15:45 an Table 16 präsentiert. Namenhafte Speaker von Spryker, Magento, igniti, akeneo und Tradebyte liefern branchenübergreifende Perspektiven zu aktuellen E-Commerce Trends, zu den Themen Plattform-Management und Technologie-Lösung. Ein Informations- und Networking-Event für Entscheider. Welche Strategien zur Digitalisierung sind erfolgreich? Was können wir uns von Marktführern wie Google abschauen? Und welche Bedeutung haben neue Commerce-Technologien und agiles Hosting im digitalen Wettbewerb? 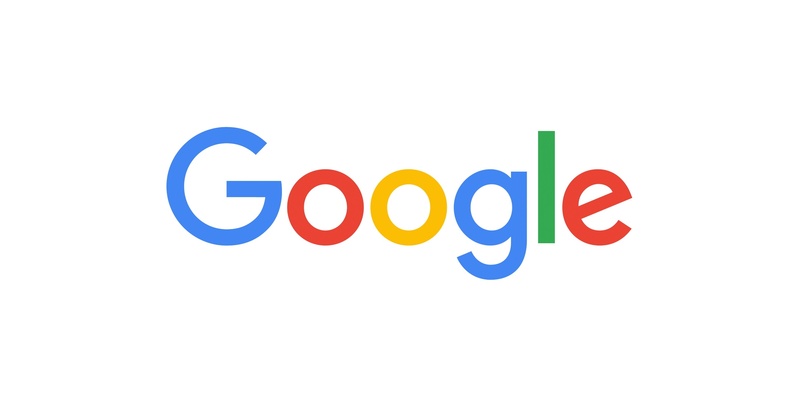 Digital-Experten und Analysten von Google, Spryker, Claranet und Crisp Research geben Antworten. Die globale Industrie automatisiert, Spryker digitalisiert. Besuchen Sie uns am PlusServer/Spryker Stand F18, Halle 006 und erfahren Sie, welche Digitalisierungsstrategien im kundenzentrischen Zeitalter erfolgreich sind und wie Sie Ihre Transaktionsprozesse zukunftsfähig gestalten. Die 5. Ausgabe des Digital Commerce Day bietet spannende Vorträge und angeregte Diskussionsrunden rund um die aktuellsten Themen, Trends und Entwicklungen der deutschen E-Commerce-Szene. The Developers Conference for the E‑Commerce Scene will take place on April 12 and 13 in Berlin. With over 70 sessions, the code.talks commerce special welcomes a large number of national and international speaker. Für alle E-Commerce-Entscheider, die nach den zwei Tagen OMR-Festival in Hamburg mit maximalen Impulsen für ihr Business wieder nach Hause fahren wollen, bieten wir das passenden OMR-Side Event: E-Commerce-Vorglühen powered by Spryker & eTribes. Hussam Hebbo - Spryker Evangelist - "Why Investing in Technology is Great for your Product"
Remco Livain - CEO Gandt Ventures - "The Importance of a Data-Centric Approach to Omni-Channel"
Unter dem Motto "The Future of Commerce" werden spannende Insights und Trends für die Zukunft des E-Commerce präsentiert. Außerdem haben Sie die Chance zu diesem Thema mit dem Spryker-Team am Spryker Cube zu diskutieren. Welche Strategien zur Digitalisierung sind erfolgreich? Was ist Momentum? Wie verändert sich die Kommunikation mit dem Kunden? Und welche Bedeutung haben Code & Data? Einen perfekten Start in die zwei Messetage garantiert das K5 Connect Dinner sponsored by Spryker & Arvato. Hier sind Brands & Retailer unter sich und können im Spatenhaus an der Oper in typisch bayrischer Atmosphäre Erfahrungen und Insights austauschen.